The full and meaningful leadership, empowerment, and protection of women is essential to resolving deadly conflict and building stable, prosperous, and just post-conflict societies. We have created a group of leaders that identifies, encourages, and mobilizes the voices of prominent men and women in support of women’s engagement in global processes of peace, reconciliation, and post-conflict reconstruction. Mobilizing Men as Partners for Women, Peace and Security is bringing global leaders—including prominent men from the defense, diplomacy, development, and business arenas—more fully into the campaign, along with the courageous women leaders who have long driven this advocacy, including grassroots advocates from war-affected countries. 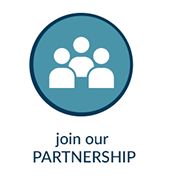 We are partnering with key institutions, including UN agencies, nongovernmental organizations (NGOs), advocacy groups, and academic institutions. Along with our partners, we ally with, listen to, and open doors for women’s groups and individuals calling for gender justice in conflict and post-conflict settings. Mobilizing Men as Partners for Women, Peace and Security started by engaging global figures and their senior advisors from dozens of international institutions, NGOs, and governments at a convening in New York City on March 22, 2018, in the margins of the UN Commission on the Status of Women. The participants agreed that while women-led efforts that created the Women, Peace and Security (WPS) agenda have made considerable progress, men must be part of the solution. Since our first convening, we have drafted a Charter, a statement of principles, and a call to action on engaging women as leaders, planners, and implementers of peace processes and post-conflict recovery efforts. 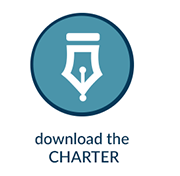 Once signed, the Charter will be publicized and shared with policymakers in governments and international organizations. Signatories will serve as Partners in this agenda, using their connections with other global leaders to make these points directly and to facilitate greater access for women advocates. Our members will help to monitor and encourage full implementation of UN Security Council resolutions, National Action Plans (NAPs), and laws—including the US Women, Peace, and Security Act of 2017—and provide implementers at all levels access to information they need to do their jobs effectively. Our Partners ally with, listen to, and open doors for women’s groups and individuals calling for gender justice in conflict and post-conflict settings. Mobilizing Men as Partners for Women, Peace and Security is a project of Our Secure Future, a program of One Earth Future Foundation, based in Broomfield, Colorado. Our Secure Future works to strengthen the Women, Peace and Security agenda and community of practice to enable more effective policy decision-making. Our Executive Director is Donald Steinberg, former Deputy Administrator of the US Agency for International Development, President of World Learning, US Ambassador to Angola, and Special Assistant to the President for African affairs. can help in this challenge—please click on the boxes below.